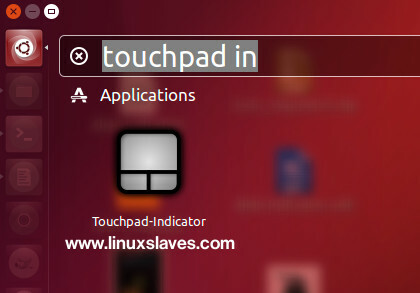 Control laptop touchpad in Ubuntu Desktop - Touchpad indicator is an indicator for the touchpad. It's an open-source system tray applet that lets you to control the touchpad directly from Ubuntu's panel. This tools can be installed via its official PPA. The package is available for Ubuntu 14.04 LTS Trusty Tahr, 15.04 Vivid Vervet, 15.10 Wily Werewolf, and latest Ubuntu LTS 16.04 Xenial Xerus. That's it! If you don't want to add the PPA, you can simply grab the .deb installer from the developer's PPA repository (get the latest version). For those who prefer to GUI installation, you can install it via Gdebi package installer, or Ubuntu Software. Now you can open the app from Unity dash, Synapse launcher or similar app launcher. So, that is all I can write about control and configure your touchpad easily in Ubuntu 14.04/15.04/15.10/16.04 using Touchpad Indicator. Hope you've enjoyed reading this post. Thanks for visiting us!